Active East Lothian | Cost should never stop your child taking part! 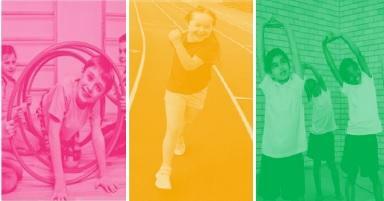 Does your child qualify for FREE access to sport & physical activities? Cost should never stop your child taking part in sport and physical activity, that’s why Active Schools in partnership with Education are offering FREE access to all Active Schools activities. This support is delivered confidentially. For pupils in Primary 1 to Primary 3 the promo code is available to those families in receipt of additional benefits who have formally applied for and received confirmation of their entitlement for Free School Meals. All children in Primary 4 and upwards qualify if they’re registered for Free School Meals with East Lothian Council. To confirm you qualify, and to be given your promo code, please contact your local Active Schools Coordinator whose details can be found by clicking here!. Your promo code should be used when booking East Lothian Active Schools activities online (at checkout) or when completing a paper form. What if my child is NOT registered for Free School Meals? Are you worried or concerned about access or possible barriers to an activity your child would like to take part in? Paul Huish, Sport & Activity Project Development Officer – Equality & Inclusion.